So you want to see the “real Bali”? 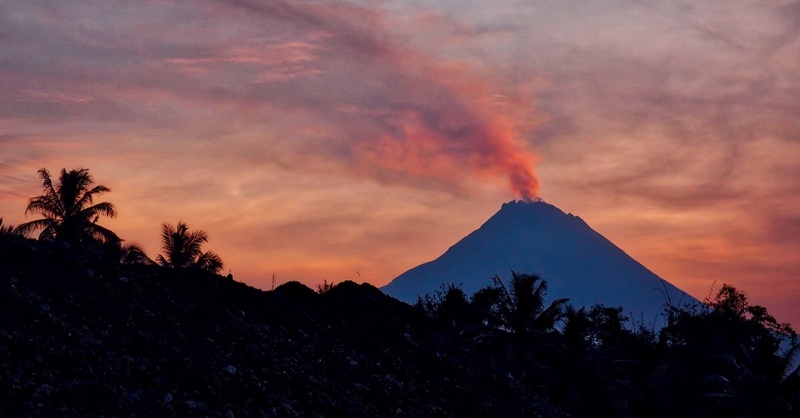 Spend a night in Bali’s sprawling capital, Denpasar. Really. Sure, it’s not paddy and gamelan, but amid the shopping malls, traffic congestion and challenging footpaths a wealth of riches awaits: temples, palaces, friendly locals, great food and even a bit of green space—plus hardly another tourist in sight. Positioned between Kuta to its south, Ubud to the north, and Sanur to the east, Denpasar spreads its grasp all but merging with the three. So where’s the airport? Well you may ask: Bali’s airport may be called Denpasar, but it’s closer to Kuta. Prior to colonial times, Denpasar was the seat of the Rajas of the Badung kingdom and an important trading centre—hence the word pasar, which means market, in its name. The palaces and indeed the markets are still part of the modern urban landscape. In 1906 the Dutch, who had already gained control of North Bali, invaded, but the royal courts refused to submit. Instead, they committed a ritual mass suicide, or puputan, which is today commemorated by both Puputan Square, and the Bajra Sandhi Monument, two of Denpasar’s landmarks. After independence, the former Dutch administrative capital was moved from Singaraja, near Lovina in the north of Bali, to Denpasar, and in 1958 it officially became Bali’s ibukota or capital (literally mother city). Business boomed, attracting a wave of immigration from other Indonesian islands. Along with descendants from Chinese, Indian and Arab former traders, today Denpasar is a very multicultural city. In some areas Denpasar is quite pretty, with tree- and villa-lined boulevards, although the centre doesn’t score too highly on aesthetic appeal and can become a sea of traffic jamming its confusing one-way streets. You can visit many of the sights comfortably (and more easily) on foot, and we’d allow a full day to explore the main sights. Museum Bali offers a good introduction to the local culture, and the Bajra Sandhi Monument lets you see most of Denpasar from above. Take time to wander and discover smaller sights, stop for a meal in one of the terrific neighbourhood warungs where you’ll be rubbing shoulders with locals, or just hit the shops. In the past, a network of bemos plied the streets, and while a few bemos and bemo terminals are still around, sadly private transport has taken over from public. We found it quicker and easier to walk, and for longer distances within town used one of the ojek services such as GoJek. Not many tourists actually spend the night in Denpasar, which is part of the appeal. By overnighting it, you’ll get a chance to experience that elusive “real Bali”, albeit a contemporary urban version. Where there are shops there are ATMs, and although they may be profuse, not many dispense more than 1.5 million in one transaction. If you wish to make a larger withdrawal, look for the machines marked with 100,000 rupiah—sometimes these go up to 2 million (Commonwealth Bank ones may be up to 3 million). The Denpasar Tourist Information Centre is opposite Puputan Square at 7 Jalan Surapati. T: (0361) 234 569, (0361) 234 696; dinaspariwisata_dps@yahoo.com; balidenpasartourism.com; open daily 09:00–19:00, closed public holidays. Denpasar is home to most of Bali’s major hospitals, with Sanglah Hospital in western Denpasar being the largest. Siloam Hospital and BIMC are both on the outskirts of Denpasar in the Kutaarea. Prima Medika and Kasih Ibu are also reasonable hospitals near the centre of town. Siloam Hospitals Denpasar: 818 Jalan Sunset, Kuta; T: (0361) 779 900, (0361) 779 911; siloamhospitals.com. BIMC Hospital: 100X Jalan Bypass Ngurah Rai, Kuta; T: (0361) 761 263; bimcbali.com. If the draw of Indonesia is too strong and you need to renew your visa, the immigration office is in Renon, not far from the Bajra Sandhi Monument. Take a number and be prepared to wait. Handy hint: dress nicely and leave the Bintang T-shirt in your bag. Kantor Imigrasi Kelas I Denpasar (Immigration Office Class I Denpasar): 3 Jalan D.I. Pandjaitan, Denpasar; T: (0361) 227 828; denpasar.imigrasi.go.id; open Mon-Fri 09:00-16:00.  Please sign up as a Travelfish member to download the Denpasar guide PDF (10.2 MB, 35 pages). Membership costs just A$35 per year (less than A$1 per week) and gives you access to over 250 PDF guides. 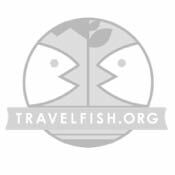 Use the above map to find specific destinations in and around Denpasar which are listed on Travelfish. Bed icons indicate a guesthouse, hostel or hotel, the knife and fork is an eatery or bar and the four-way circular thingy marks sights, attractions and other points of interest. Click on any icon for a short pop-up and a direct link to the page for that spot. If you are in the area, use the teardrop icon near the top left to show your position on the map (you'll need to allow position sharing for this last feature to work).